The shell molding process is called after its inventor as "Croning" process. Dry, free-flowing molding material, consisting of resin coated sand is added by means of gravity or by application of pressure onto or into the tool. By heating the pattern plates and core boxes, the curing of the resin contained in the molding material is performed. Thereby, the strain hardening of the molding material is achieved. 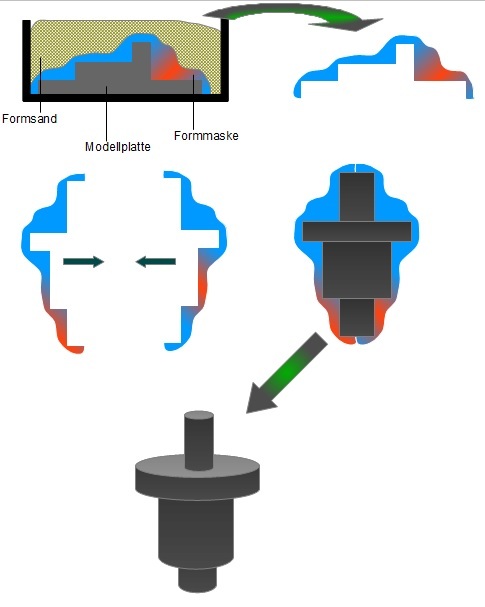 This molding process allows the production of molds or empty cores (Fig. 2, ASK Chemicals GmbH) and is preferably used in large batches. High quality construction parts are due to highest casting surfaces preferred field of application of this method. It is classified in the group of precision casting. Preferred materials are cast iron alloys and steel castings. 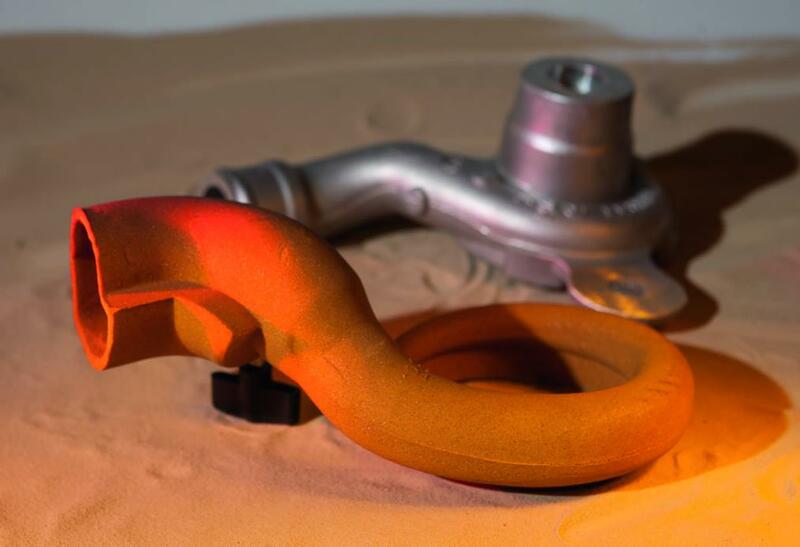 Limitations arise when cast steel with low carbon content by the danger of surface carburation.